Looks like a can of "whoop-arse" (As the boys at Tycross would say..) is about to be opened. 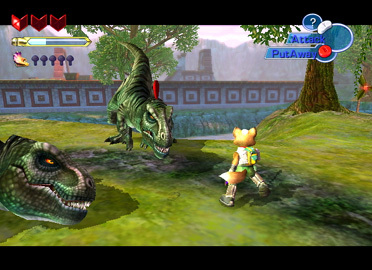 This is the first shot of Fox fighting Dinosaurs other than Sharpclaws. Also note the changed item metres.